The Baggies’ home campaign kicks off against Everton on Saturday with the hosts looking to win their first two games of a Premier League season for the first time, but a lack of new signings means that the over-riding emotion at the Hawthorns is frustration rather than the optimism that a new season normally brings. The opening day victory at Crystal Palace was both unexpected and typical – unexpected in that Albion finished last season with nine winless games and have hardly impressed in pre-season, and typical because it was a solid defensive display, achieved with less than 40% possession and by a single goal, the scoreline for all four of Albion’s away league wins last season. One of those, of course, was over Saturday’s opponents, Everton. The Hawthorns fixture also finished in an away win as the Toffees came from two goals down with former Albion loanee, Romelu Lukaku, grabbing a brace including the winner six minutes from time. Albion were still without a home win after that match in late September, and Tony Pulis will be hoping that it doesn’t take as long this season to register a victory at the Hawthorns. So far, the transfer window has been utterly underwhelming for Baggies fans. The signing of Matt Phillips was welcome, but he remains the only player to join as supposed pursuits of Jeffrey Schlupp, Lewis Dunk and Charlie Taylor have so far proved unsuccessful. Meanwhile, James Chester has moved four miles up the road and down a division to join Aston Villa with Pulis apparently unimpressed with his countryman’s performance in Euro 2016, or at least unable to see how the player he was prepared to pay £8 million for last summer will fit into his side. Furthermore, Pulis’s first signing, Callum McManaman, is apparently surplus to requirements while Stéphane Sessègnon, one of Albion’s most creative players of the last few seasons, has already been released. While it was soon clear that my desire to see Pulis leave the club was to remain unfulfilled, the appointment of new technical director, Nick Hammond, in April raised hopes that he could pick up where Dan Ashworth had left off four years ago, hopes so far unrealised. A couple of weeks ago, the news that a Chinese investor had agreed a deal to take over the club from Jeremy Peace sparked hope of a release of the purse strings, but still there has been no further movement in the market although there are rumours that Albion are prepared to pay in excess of £20 million to bring in Sporting Lisbon striker, Islam Slimani, but so far they are just that, rumours. So the only new signing on show for the first game at the Hawthorns will be winger, Matt Phillips, while Yannick Bolasie could face Albion for the second week in succession having moved from Palace to Everton for £27 million on Monday. That is Everton’s sixth signing of the summer with James Chester’s international centre-back partner, Smethwick-born Ashley Williams, their other stand out signing. Another new signing, Dutchman Maarten Stekelenburg, is likely to be between the posts for the visitors although his spell as the Toffees’ number one could be short-lived as England’s Joe Hart could well join on loan before the end of the window. Everton impressed in their draw with Spurs, particularly in the first half, and assuming Romelu Lukaku is fit and his anticipated return to Chelsea hasn’t got any closer, the former Baggie will offer much more than Palace’s somewhat blunt forward line did last weekend. 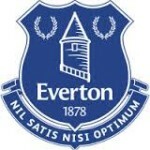 At the back, John Stones may have moved on, but he wasn’t first choice towards the end of last season and the partnership of Jagielka and Funes Mori is becoming well-established although it remains to be seen how quickly new manager Ronald Koeman can transform Everton from the leaky side they were under Roberto Martínez to a more solid outfit. Everton have made improvements in the close season are likely to offer a stiff test and, while there may be confidence after the win at Selhurst Park, Albion are not yet stronger than they were last season, in fact they are arguably weaker. They remain hard to beat, however, and I see this one finishing in a draw.